About once-a-year, I suggest reviewing your list of natural remedies to determine whether they’re still the best options for your personal wellness goals. By doing so, you will likely discover some simple tweaks that can improve your health and possibly save you money. I consistently find this to be true when reviewing the diets, practices and supplements my clients use to maintain or regain their good health. Also, this is why I occasionally write “update” columns. Often, things change fast and unpredictably in the field of integrative medicine. And, if you don’t keep an eye out for the latest facts and figures, you’re likely to miss out. Here are some breaking developments that you may want to consider in order to modernize your current wellness routine. If you’re trying to lower your blood sugar, new studies point to three promising candidates: maqui berry extract, nopal cactus and resveratrol. The latest data confirm the historical benefits of easting nopal cactus as a side dish, provide scientific support for the use of maqui berries and reveal that very high dosages of resveratrol (500 mg, thrice-daily) may be needed to improve insulin sensitivity and other factors associated with metabolic syndrome. Anyone concerned about cardiovascular health or prostate cancer should take heed of recent findings in the field of lycopene/tomato research. Emerging data demonstrate that consuming lycopene supplements or tomato juice improves vascular function and lowers inflammation in those with cardiovascular disease and heart failure. In addition, 10 mg daily of lycopene decreases a marker of prostate cancer progression (PSA velocity) and reduces the likelihood of “lethal prostate cancer”. 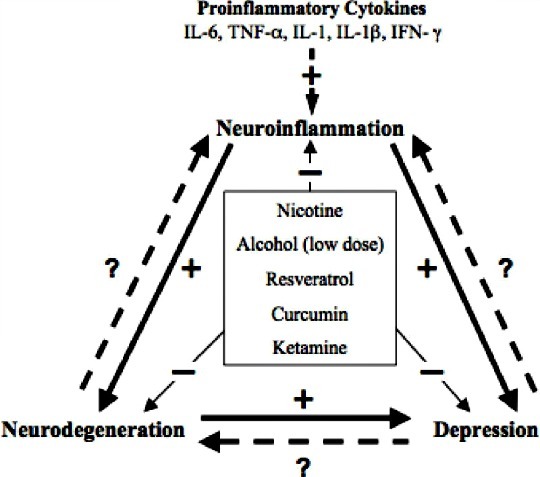 Lastly, anyone living with depression and pain should take note of three trials which indicate that yoga (thrice-weekly for 12 weeks), bergamot and lavender oil aromatherapy, and a patented curcumin extract known as BCM-95 (500 mg, twice-daily) support healthier mood states whether linked to physical pain or not. Check up complete! Nutr J. 2015 Mar 19;14(1):27. doi: 10.1186/s12937-015-0008-1. The intake of maqui (Aristotelia chilensis) berry extract normalizes H2O2 and IL-6 concentrations in exhaled breath condensate from healthy smokers – an explorative study. BACKGROUND: Respiratory diseases are associated with pulmonary oxidative stress and inflammatory processes. Though studies in animal models suggest that dietary polyphenols improve lung injury, no intervention studies were carried out in humans. The aim of this study was to determine whether the intake of an anthocyanin-rich maqui extract improved H2O2 and IL-6 concentrations in exhaled breath condensates (EBCs) from asymptomatic smokers. FINDINGS: 15 asymptomatic smokers with mild cigarette smoking (3 pack-year [2.4 - 7.7]) (mean [CI95%]) were recruited in this exploratory longitudinal study. 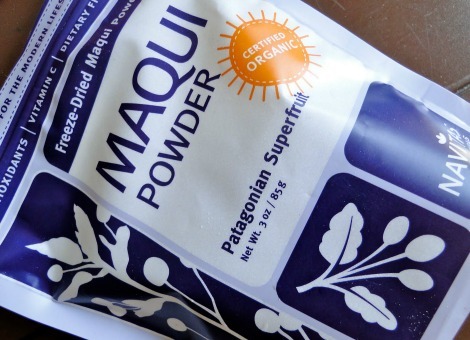 They ingested 2 g of maqui extract (polyphenol content = 5.18 ± 2.00 g GAE/100 g; FRAP value = 27.1 ± 2.0 mmol Fe(++)/100 g), twice daily for two weeks. EBCs were collected before and after treatment and the changes in H2O2 and IL-6 concentrations were determined by fluorimetry and Elisa, respectively. The EBC contents of H2O2 and IL-6 H2O2 before and after treatment in smokers were also compared with those determined in single EBC samples from 8 healthy non-smokers subjects. At baseline, the H2O2 concentrations were higher and those of IL-6 lower in the smokers than in the non-smokers. Maqui extract significantly decreased H2O2 (p < 0.0002) and increased IL-6 (p < 0.004) in the EBC from smokers. The EBC concentrations of H2O2 and IL-6 after maqui administration did not differ between smokers and non-smokers. CONCLUSIONS: Maqui extract normalizes IL-6 and H2O2 concentrations in EBC from humans with mild smoking habits. If confirmed, these results suggest that dietary polyphenols might be considered as an interesting alternative for the dietary management of respiratory disorders. Br J Nutr. 2015 Jul 23:1-12. A comparison of plasma and prostate lycopene in response to typical servings of tomato soup, sauce or juice in men before prostatectomy. Tomato product consumption and estimated lycopene intake are hypothesised to reduce the risk of prostate cancer. To define the impact of typical servings of commercially available tomato products on resultant plasma and prostate lycopene concentrations, men scheduled to undergo prostatectomy (n 33) were randomised either to a lycopene-restricted control group ( < 5 mg lycopene/d) or to a tomato soup (2-2¾ cups prepared/d), tomato sauce (142-198 g/d or 5-7 ounces/d) or vegetable juice (325-488 ml/d or 11-16·5 fluid ounces/d) intervention providing 25-35 mg lycopene/d. Plasma and prostate carotenoid concentrations were measured by HPLC. Tomato soup, sauce and juice consumption significantly increased plasma lycopene concentration from 0·68 (sem 0·1) to 1·13 (sem 0·09) μmol/l (66 %), 0·48 (sem 0·09) to 0·82 (sem 0·12) μmol/l (71 %) and 0·49 (sem 0·12) to 0·78 (sem 0·1) μmol/l (59 %), respectively, while the controls consuming the lycopene-restricted diet showed a decline in plasma lycopene concentration from 0·55 (sem 0·60) to 0·42 (sem 0·07) μmol/l ( – 24 %). The end-of-study prostate lycopene concentration was 0·16 (sem 0·02) nmol/g in the controls, but was 3·5-, 3·6- and 2·2-fold higher in tomato soup (P= 0·001), sauce (P= 0·001) and juice (P= 0·165) consumers, respectively. Prostate lycopene concentration was moderately correlated with post-intervention plasma lycopene concentrations (r 0·60, P =0·001), indicating that additional factors have an impact on tissue concentrations. While the primary geometric lycopene isomer in tomato products was all-trans (80-90 %), plasma and prostate isomers were 47 and 80 % cis, respectively, demonstrating a shift towards cis accumulation. Consumption of typical servings of processed tomato products results in differing plasma and prostate lycopene concentrations. Factors including meal composition and genetics deserve further evaluation to determine their impacts on lycopene absorption and biodistribution.